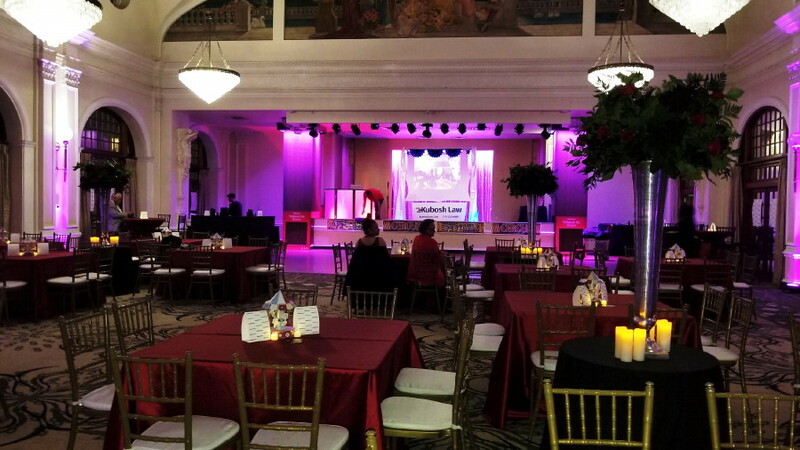 Wedding Bliss Events was honored to produce our fifth annual Holiday Party for KUBOSH Law and hosted it this year at The Elegant Crystal Ballroom in downtown Houston! 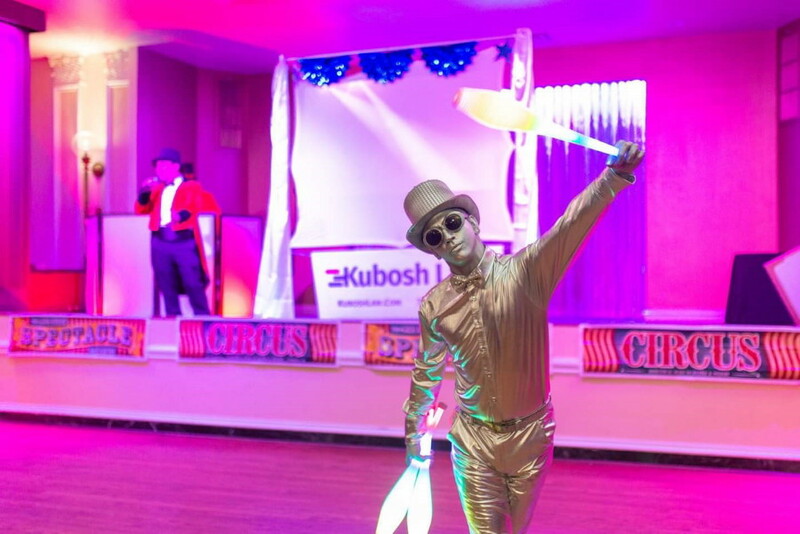 Thanks to you and your time and talent, we had another successful event for The Kubosh Law and the Kubosh family! 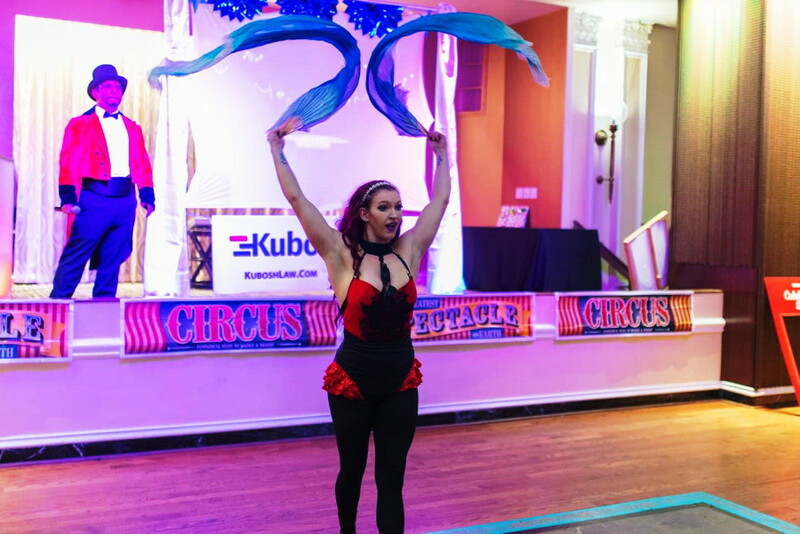 With this year’s theme being The Greatest Showman, we took on no small endeavor to create a festive vintage circus theme and you all made it into a reality! 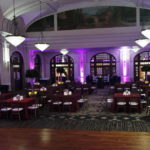 Let’s start with the venue. Hailey, thank you and your incredible team for all your attention to detail and the constant assistance throughout the evening! 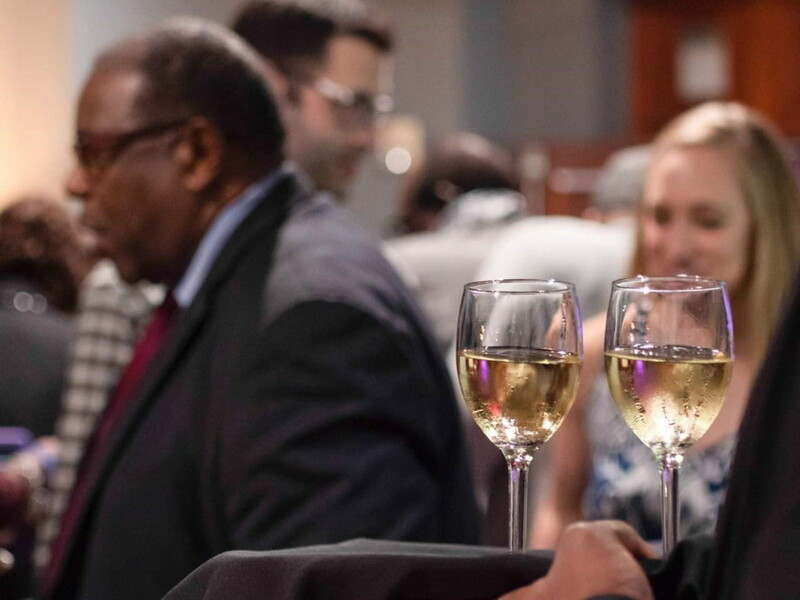 You made the event shine with your service, food and flowing beverage and boy did it flow! 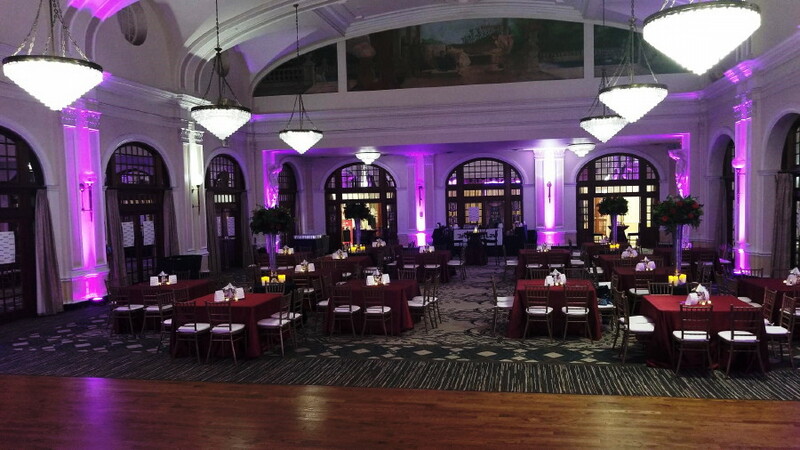 The room took on the theme with ease and was certainly the right venue for the evening! 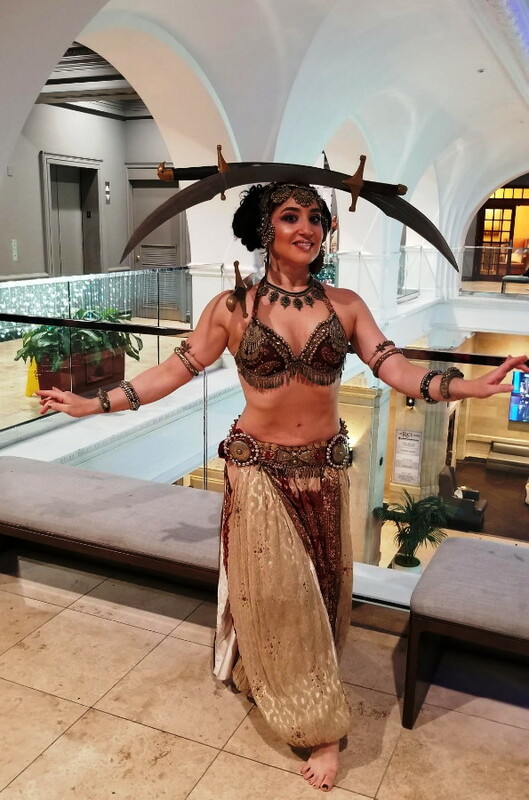 The talent from Tamara with Trade Entertainment was a new addition to our Holiday celebration and we could not have been more happy with the silver statue juggler, the multi-talented contortionist, the Greatest Showman Stilt Walker and the exotic Sword balancer. 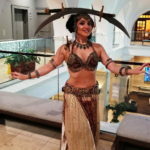 The clients and guests were wowed and thrilled by the entertainment you provided Tamara and I cannot thank you enough! Puppet Pizzazz , my favorite puppet troupe was back again with their classic Frosty and Crystal Snowman greeting guests as they arrived and the beautifully ornate vintage Victorian Santa and Mrs. Claus saying farewell and giving holiday wishes to the guests as they left. Greg, I consider you a true artist, actor and friend and love working with you! 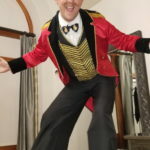 John, with Access DJs, you out did yourself in your top hat and vintage red ringleader coat! The music, videos and management of the special guests and speakers throughout the evening was even better than ever. I especially love the addition of the raffle numbers being displayed on the screen for all to see as prizes were drawn throughout the evening! Another stellar event on the books by dear friend! Special thank you to Steven Shannon for providing an excellent singer for The opening number. 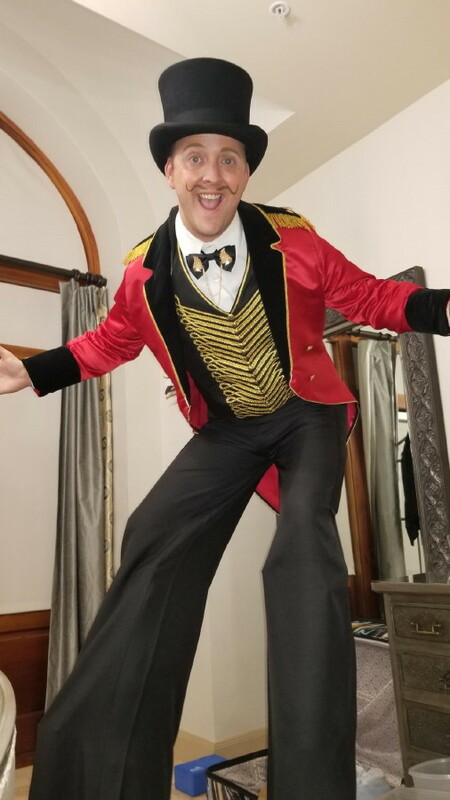 Chris Plata singing Never Enough from The Greatest Showman was a wonderful surprise element and opening to the festivities. Our clients were surprised by this unexpected gifted to them from WBE. Thank you. 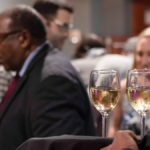 My newest vendor friends, David Settle with DJS Entertainment and Sherronda Scoggins with KC Florals and Events both made excellent contributions with their services to this year’s soiree! Sherronda, I can’t thank you enough for designing such lovey arrangements on such short notice and producing the perfect look for our theme! David , your up lights, the photo booth with vintage back drop and props and even our short lived Projector GOBO added the perfect touch to the room! 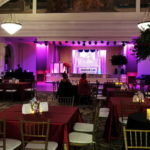 Finally, I cannot forget about my dear friends Mark Pirozzolo with A Finer Event and Lisa Krum Anhaiser with Linens by Lisa who always make every event I do complete with impeccable clean rentals and linens! We will see many more events in 2019! 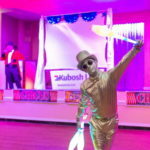 Thank you all again for creating a magical evening for the Kubosh Law, the Kubosh family , their friends, associates and special guests this year and we look forward to a prosperous new year in 2019 with you all!